2. 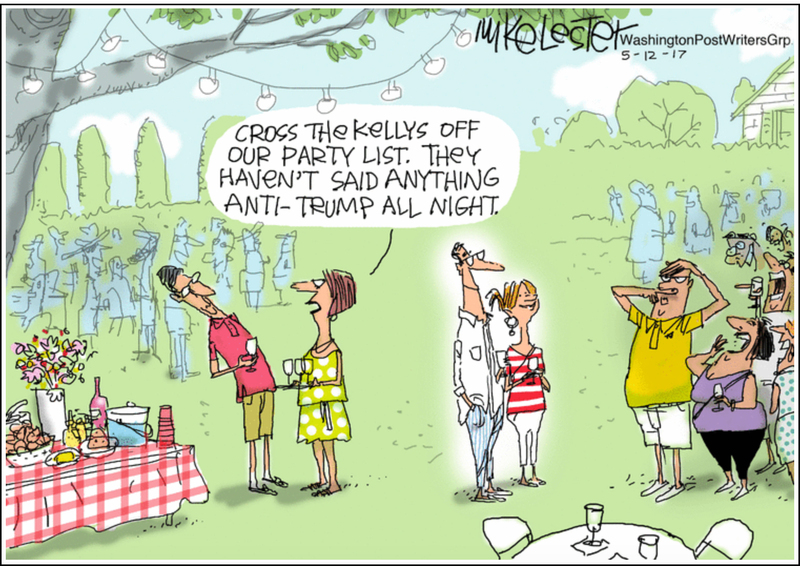 Do you agree with the cartoonist’s assertion about people who dislike President Trump? Explain your answer. 3. a) Define hyperbole and understatement. b) Which word do you think best describes this cartoon? b) Answer varies, depending on your point view.